Chelsea manager José Mourinho has confirmed that the club are interested in bringing back former striker Didier Drogba. The 36-year-old is available on a free transfer after leaving Galatasaray at the end of last season. “We think about it [bringing Drogba back]. We want to win matches and win titles and Didier is one of the best strikers in Europe. “He is still very adapted to the needs of the Premier League and we are thinking about it in a non-emotional way. 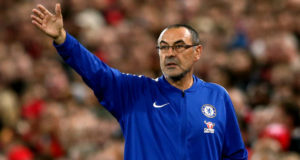 “If you bring him back it is not because he is Didier or scored the most important goal in the history of Chelsea, or because I read I need an assistant, no. 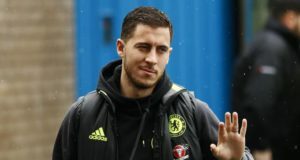 “If I bring him back, and the decision has to be made soon, it is because as a player he has qualities to make the team stronger. The team is not about the eleven. It is about the different options and as an option I would not say no about the possibility. It is quite possible that Drogba could have the same impact as Samuel Eto’o. Few expected the Cameroon striker to be an important player for Chelsea, but goals against Liverpool, Manchester United, and Tottenham last season made Eto’o as the club’s best striker in the league matches. Following the exit of Demba Ba, Chelsea still have three forwards in the form of Diego Costa, Fernando Torres, and Romelu Lukaku. Transfer rumours surrounding Torres, however, have been growing in the last few days. 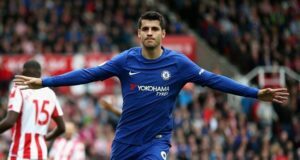 Monaco and Atletico Madrid are reportedly interested in signing the player currently valued at around £20 million by Chelsea. Mourinho also has the option of Patrick Bamford, who has been looking bright in pre-season.